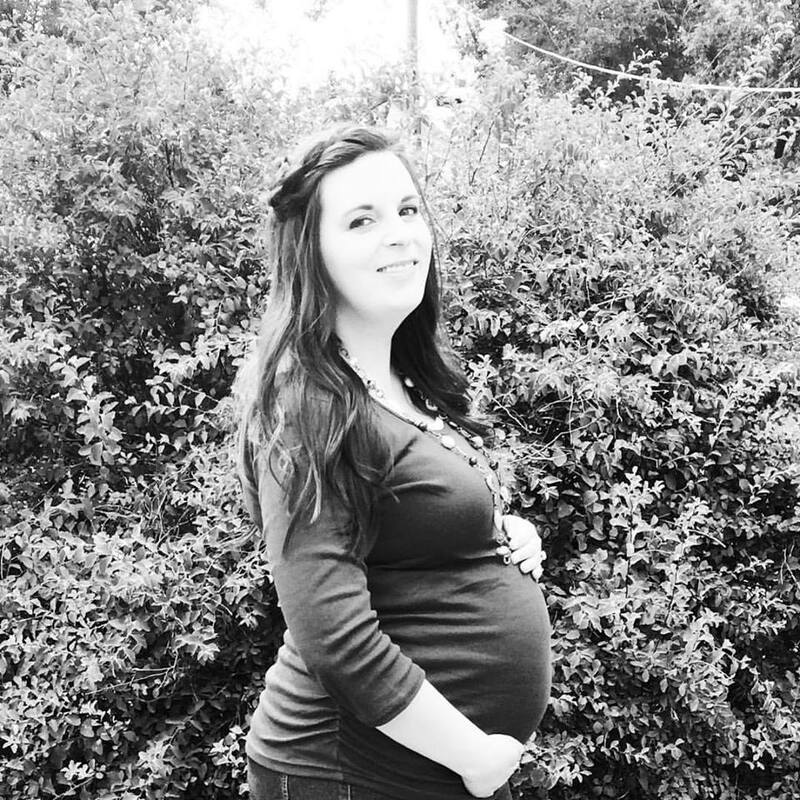 Weeks 33-35 Pregnancy Update + Baby Bump Picture! Boy have I missed you all! I missed a few weeks of my pregnancy updates as we moved and didn’t have internet! Now that it is back on and running, I thought I would just bundle the past few weeks together for you to get caught up on everything! I had a doctors appointment earlier this week, and all is looking good still. I will go at the end of the month for my ultrasound to ensure he is still growing properly and everything is looking good. Have the 2-vessel umbilical cord has made it to where I get ultrasounds every 4 weeks to ensure he is doing okay. So far we have had no troubles! I then will have a doctor appointment right after and get checked for the first time to see if I am dilating and do the strep-b test. Not gonna lie, I have heard getting checked can hurt, so I am a bit nervous! It is just unreal we are so very close the the end of this pregnancy! In a little bit baby Clay will be here, I just can’t wait to see what he looks like, and get to cuddle him! 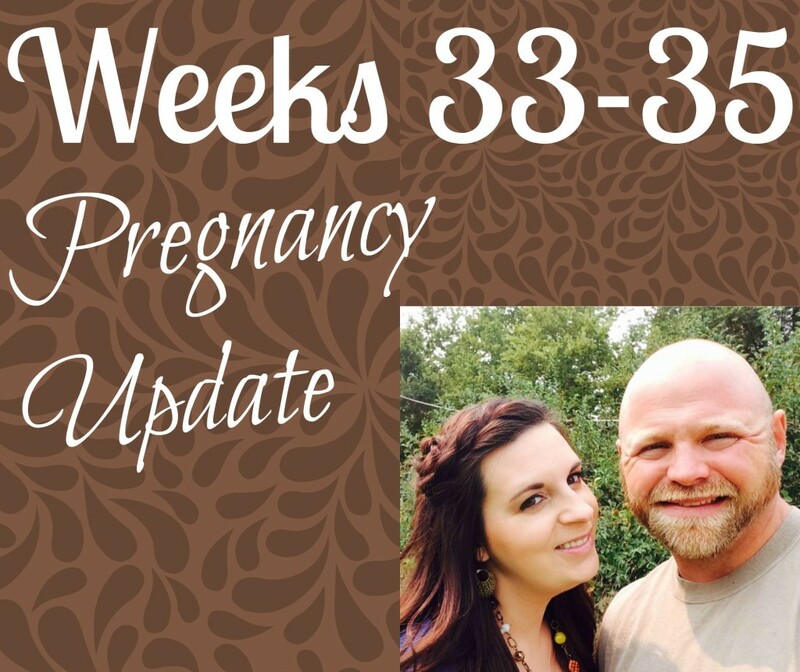 So here is my 33-35 Pregnancy Update, hope you all enjoy! Size of Baby: Being 35 weeks he is the size of a honeydew melon. Weighs approximately 5.25 lbs. He is growing bigger and bigger each day, and getting ready to come join the world in a few weeks! Movement: This little guy is so active lately! You can really tell he is growing as his movements are so much stronger. If I have my hand in the right spot when he moves you can almost feel his arm or leg, it is really neat. I love getting to experience him moving around in there, it is like I learn his personality! Body and Changes: This belly is growing bigger and bigger daily I think! I have noticed I have a bigger appetite lately. I am eating bigger portions and eating often, as I can’t quite get rid of the starving feeling! I have been having a lot more braxton hick contractions, they are getting uncomfortable! I also have been having issues with my hip, it just hurts and makes it hard to walk around with ease. I have a waddle, and sometimes the thought of getting up and moving around makes me want to cry! I’m just uncomfortable and low energy. Sleep: From my last update, I am happy to say I am sleeping a bit better. Some nights I am still up a lot, but other nights I sleep pretty good through the night. Last night was perfect, I only got up once and slept the rest of the night. I won’t lie I am still exhausted, and I have started napping here and there to help give me some energy! Emotions: You never know how I will be! Emotions are like a roller coaster still, up and down. I think with the move and knowing our due date is around the corner I am a bit more on edge hoping to get things ready as I can for when he is here! Belly Button In or Out: Still in, but super stretched! Morning Sickness: My morning sickness has for sure come back a bit stronger. It never fully went away but it wasn’t as strong as how it was in the beginning and now it is a bit stronger. This morning was a really rough start, but I am feeling a bit better now! Cravings: KFC chicken with mashed potatoes and green beans, ice cream, fresh fruit, and starting to crave sour stuff again. What I Miss: Moving around at a normal pace. It takes me forever to do anything, I am just slow from hurting and being uncomfortable! What I Am Looking Forward To: Meeting Clay! I can’t wait to get to meet him and see his sweet face, hear he is perfect and can start our new life as a little family! Next Doctor Appointment: September 29th. I missed you the last couple of wks. I was also moving. I love my new apt! Im in another city so its not rural at all. Martinez had a lot of rural with a nice small town. Im in Concord now. I know no matter where I am God will protect me. Im on the 3rd floor so Im lovin that. Well your big day is almost here. Dont be nervous,your going to be ok. You have adam and God right there with you. Your going to be great parents! My sweet baby girl is 16 months old already. She loves to run around and get into everything. She’s such a blessing to our family. Tell me what your house is like. Im going to take pics of mine once Im settled. It may be another month or so. Your always in my prayers ? Aw thank you! That is exciting you got moved as well! Hope that soon you will be settled and can just kick back in relax! I live in a rural area, it is nice but sometimes I wish we had places to go and visit and things to do. We bought a 4 bedroom country home and it has 20 acres with it. So it is a nice little area for us to raise baby Clay! Thank you for the encouragement, your right it will all be okay with delivery! I can’t believe she is that old already, seems like yesterday you were saying she was born! How very exciting to watch her grow and learn new things! Lots of prays your way!!!! HUGS! 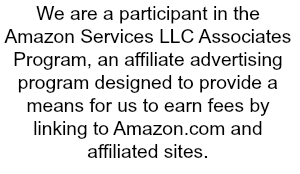 We never share your e-mail address.